Georgia's banks are seeing across-the-board gains while meeting evolving customer needs. “In Georgia, it’s a time of opportunity, potential and challenges,” says Rob Braswell, president and CEO of the Community Bankers Association of Georgia. Braswell’s referring to the state’s banking industry, which has rebounded from the recession with gains in nearly all areas across the state. Over the last year, Georgia’s 239 banks have grown total assets, total deposits and total loans, with loans and assets at their highest levels since year-end 2008 and deposits at record levels. Net income is also up; in first quarter 2015, net income totaled $661 million – 12 percent higher than the first quarter of 2014. But with that growth comes challenges, ranging from remaining profitable in the face of lower-than-low interest rates and maintaining compliance with an ever-growing roster of federal regulations to adapting to a changing consumer base. How are Georgia’s banks responding? Where are they investing time and resources, and what strategies are proving most effective for staying competitive? Turns out, it’s a relatively simple answer: They’re focusing on serving their customers efficiently, thoughtfully and proactively. “We are a reflection of the state and the communities we serve, and those communities are doing better. The economy is better. Family business finances are better, so the banks are doing better,” says Georgia Bankers Association President and CEO Joe Brannen. “We’ve had 20 consecutive quarters of nonperforming loans being lower, so that says that folks are being able to pay back their indebtedness, which is good for everyone. New opportunities afforded by the state’s rebounding economy have led many banks to reevaluate and revamp their business plans. And an evolving customer base – with growing numbers of tech-savvy millennials, their baby boomer counterparts and everyone in between – presents new challenges that banks must respond to. “What customers want a year ago and even sometimes a week ago changes a lot. Banks have to be able to adapt,” says Kessel Stelling, chairman and CEO of Synovus Financial Corp., one of the largest banks operating in Georgia today. In response to market demands for efficiency and customer demands for convenience, Synovus has replaced more than 200 ATMs in recent years with “deposit automation” touchscreen ATMs, which allow customers to withdraw money and deposit stacks of cash or checks quickly – and well past traditional operating hours. Many of its Georgia banks also offer apps for mobile banking. “As an industry, we’re having to get smarter about how to give the customer what they want, whether it’s a mobile banking app or a very good online banking experience for consumers or small business, or whether it’s sophisticated treasury products for larger customers,” Stelling says. To deliver a solid return on investment to shareholders; consistent, high-quality service to customers; and competitive products to their local communities, banks must continually evaluate their processes, technology and products. At Flint Community Bank, a one-branch bank in Albany, a focus on high-touch technology and lean operations has been a priority since day one. Flint Community Bank was formed in 2006 and has managed to grow every year throughout the recession, a feat its president and CEO, Scott Tomlinson, attributes partly to its forward-thinking business plan. Flint Community Bank invested early in online banking, mobile banking and remote capture, all banking features that today’s tech-savvy millennials require. The things millennials don’t require as much, it seems, are physical branches. Some adaptations being either implemented or considered in Georgia’s banks include virtual bank teller ATMs, new cash handling technologies like smart safes and cash recyclers that help bank employees work more efficiently, and micro-branches, compact versions of traditional branches featuring a high-tech mix of self-service machines and cross-trained “universal tellers” to help customers with more complex requests. “We can do things to make [banking] easier, and banks are spending lots of money on the technology piece just to make the customer experience more positive for people,” says Brannen. Technology touches every aspect of banking, from developing the mobile apps that give consumers 24/7 access to their money to managing the back-office processes that correctly tally balances and populate regulatory documentation. At Flint Community Bank, it even trickles into marketing plans. The bank has seen great success with digital marketing, pairing traditional television commercials with online campaigns across its Facebook and YouTube pages. Tomlinson says that highlighting the bank’s customers and community partners, instead of the bank itself, helps the bank strengthen its ties to the local community – and reach even more potential customers. In addition to keeping pace with today’s customer and technological demands, Georgia’s banks have another major challenge to tackle each day: the steady stream of federal compliance regulations stemming from the Dodd-Frank Wall Street Reform and Consumer Protection Act, signed into law in 2010. New capital rules for banks – designed to ensure that banks have ample capital in the case of a future economic crisis – create excess strain when banks are trying to focus on growing loans instead. A new mortgage disclosure rule consolidates information from multiple forms into one two-page disclosure – but requires technology workarounds and new solutions to populate the disclosure, plus 800 pages of legal instruction just to explain it. And Dodd-Frank’s qualified mortgage rule, which lists restrictive qualifications for prospective homeowners, hampers banks’ abilities to grant loans to about 20 percent of consumers, according to Brannen, severely affecting banks’ abilities to grow loans – and their local communities. McConnell estimates that Pinnacle Bank’s compliance department has doubled in five years alone. The burden is felt across all banks, but more intensely at smaller banks, where taking one person away from their normal duties – or hiring someone new, usually with a substantial salary because of the highly specialized knowledge necessary – makes a bigger impact. “Finding that right balance between allocating enough resources to comply with the ever-increasing regulatory demands and balancing that with the right resources to serve your customers, and then ultimately to get a return to your shareholders – that’s a struggle for banks, and certainly the smaller ones face that every day,” says Stelling. Banks are taking a proactive role with compliance and regulatory requirements, though. Compliance officers are establishing and maintaining positive working relationships with auditors and regulatory representatives to make sure that they’re both aware of future requirements and understanding current ones correctly. And they’re advocating for changes within the industry and in Washington. By getting involved with banking organizations like the Georgia Bankers Association and Community Bankers Association of Georgia and voicing their concerns to the FDIC, the Federal Reserve and representatives in Washington, Georgia’s community banks are starting to see the pendulum swing back in their favor. Just as bankers have weathered the economic storm, consumers have as well. They have been conservative with expanding their businesses or obtaining new loans. They have been saving instead of borrowing, creating record levels of liquidity at banks. And now, they are slowly gaining confidence in the market – at the best possible time. Community banks play a vital role in the development and economic stability of their communities. Nowhere is this more true than Savannah, where Carver State Bank – one of only two African-American-owned community banks in Georgia – has made an impact far greater than its assets might suggest, says President Robert James. 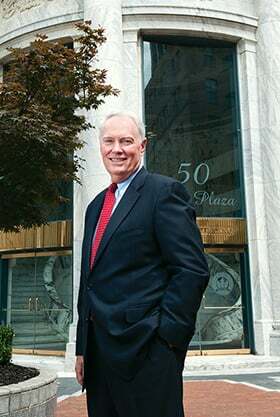 James has led Carver State Bank since 1971, taking over the helm when he was just 24 years old. In the bank’s 88-year history, it has only had three presidents. James credits this stability of leadership as one reason for the bank’s longevity, along with its community-integrated board of directors and loyal customer base. Carver State Bank was founded in 1927 by Louis B. Toomer as Georgia Savings and Realty Corp. Formed in response to racial discrimination in Savannah’s banks, Toomer focused on private banking and real estate financing/management before converting to a state bank in 1947. After Toomer died in 1961, the bank’s second president, Lawrence Perry, transformed it into a full-service commercial bank offering loans and checking accounts. And the bank has continued to evolve under James’ leadership, with a specific focus on community involvement and staff development. “Because we are an African-American-owned financial institution – and we have succeeded during some very difficult economic times and remained strong – we have been kind of a nucleus of commercial involvement for African Americans in this area,” he says. And that’s a legacy the bank plans on continuing. Carver State Bank’s leaders are currently defining a strategic plan to outline the bank’s path forward in its changing market. “I don’t think a small community bank can remain independent and simply do the traditional banking business of receiving deposits and making loans,” James says. “We will have to find other areas that we can become expert at. At this institution, for example, we are looking at … partnering with other institutions that would like to provide services in our communities,” such as the Small Business Administration and USDA.